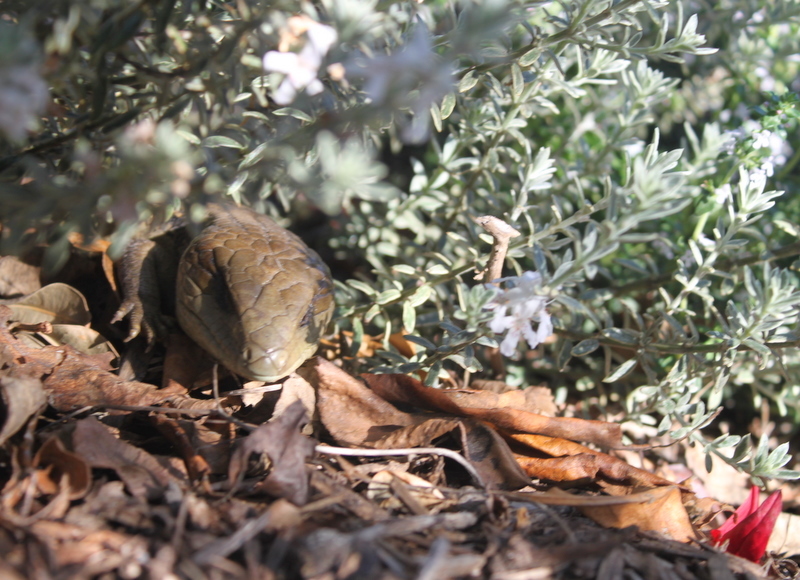 Whenever I head into the front garden with a watering can at the moment, little Shadow the blue-tongue lizard is usually around. I think we might have an understanding as today he/she drank a few drips of water and regarded each other. What seemed to pass was something like this: “If you keep a little water around when I’m thirsty in the late afternoon, I’ll stay and discourage snakes”. Deal little blue-tongue! Your secret hidey gentle presence is more than welcome.